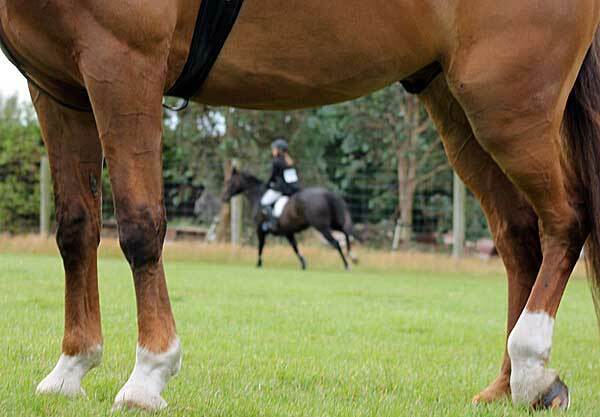 Stem cell therapy delivers promising results in repairing damaged joint cartilage in horses. Now, scientists have figured out how it works. It has, until now, remained unclear whether stem cells are responsible for regeneration or whether they trigger the process. Researchers in the Department of Biomedical Sciences at the University of Veterinary Medicine, Vienna, have found the answer by tracking the effects of the stem cells in a new, natural animal model involving specially bred mice and rats. The study team found that, after injection, stem cells orchestrate the healing effect of endogenous cells but are not responsible for cartilage regeneration. The breakthrough, reported in the journal JCI-Insight, was made possible by preventing the normal immune response to the molecule required to trace the injected cells. Therapy with mesenchymal stem cells, the so-called progenitor cells of connective tissue, are know to hold great promise for regenerating cartilage tissue but how they contribute to healing has been unclear. Debate has centred on whether the injected cells promote regeneration or stimulate the body’s own cells to proliferate. The scientists were able to show that progenitor cells do not participate directly in cartilage regeneration but serve to “animate” the process. “To date, it has not been possible to show what an injection of stem cells really does in an animal model,” explains Reinhold Erben, the senior author of the study. It was thus possible to track stem cells only in immunodeficient animal models that had no reaction to the proteins due to a genetically reduced immune system. These models could not provide any clues about the mode of action of the stem cells. “We therefore worked with a ‘lifelike’ animal model that is immunocompetent but shows no response to our tracker molecule. This enabled us to show that stem cells have a purely modulating action in the treatment of cartilage damage,” says Erben. The researchers developed a so-called double-transgenic animal model for the purpose. Special donor and recipient lines of mice and rats were bred that expressed an artificially introduced human cell-surface protein, the placental alkaline phosphatase, ALPP, on all their cells to enable them to be traced. In addition, the ALPP of the recipient line differed from that of the donors at a single amino acid. As the two protein variants are almost identical, the immune system cannot distinguish the body’s own cells from those of the donor. “Moreover, the mutation inactivates the otherwise heat-stable protein at high temperatures, allowing the recipient cells to be differentiated from the donor cells during the experiment,” explains Erben. The use of a double transgenic system without the loss of immunocompetence should support stem cell research in fields other than cartilage regeneration, according to the researchers. “Our results contribute to our understanding of stem cell therapy, as they show for the first time that therapy stimulates the body’s own cells to promote the regeneration of damaged connective tissue, such as cartilage,” concludes Erben.